Italian inventor Andrea Rossi continues with commercialization of his e-Cat (energy catalyzer). In addition to the 1MW plant he tested and reportedly sold to an unnamed customer, he also reports already having sold two or more additional units. He reports that these were to customers in the USA and Europe. While he states that the new customers are not requesting the same level of secrecy, a certain amount of discretion will still be exercised, adding that eventually the identity of his customers will inevitably become apparent. Mr. Rossi reports having production facilities in Bedford, NH and Miami, FL, and plans for the next year are to sell from 30 to 100 1MW cold fusion plants, at a cost of 2 million Euros or 2.8 million U.S. Dollars. This information can be found on Mr. Rossi’s blog, Journal of Nuclear Physics. While the Associated Press was present at the October 28th test of Mr. Rossi’s 1 MW cold fusion plant, they have yet to run a story covering the event. Whether they are exercising prudence or something less noble remains to be seen. AP reporter Peter Svensson, who was present at the test, has tweeted several times on the subject in response to inquiries about the event. On Monday, October 31, Mr. Svensson tweeted “Sorry, I can’t tell you anything at this point.” Later that day he tweeted again, stating “Sorry, we don’t comment on coverage plans.” These rather cryptic tweets were followed yesterday by “All I can say is “stay tuned.” For whatever reason the AP continues to keep this story under wraps, in the end it may be inconsequential. Other news outlets have begun to report on the story, from Fox News, CNN, Forbes and Discovery News, to popular publications in such places as Sweden, Russia and Italy. Perhaps the most balanced story I have seen on the subject so far was posted on the site of a U.S. Daily newspaper Falls Church News Press of Falls Church, Virginia, which is about 10 miles outside of Washington, D.C. I would strongly urge all readers to take a look at this article. Commercial customers interested in the e-Cat can contact Mr. Rossi and his associates at info@leonardocorp1996.com. While Rossi’s cold fusion e-Cat is starting to gain some much deserved attention, it needs to be pointed out that there are others seeking to commercialize this technology. 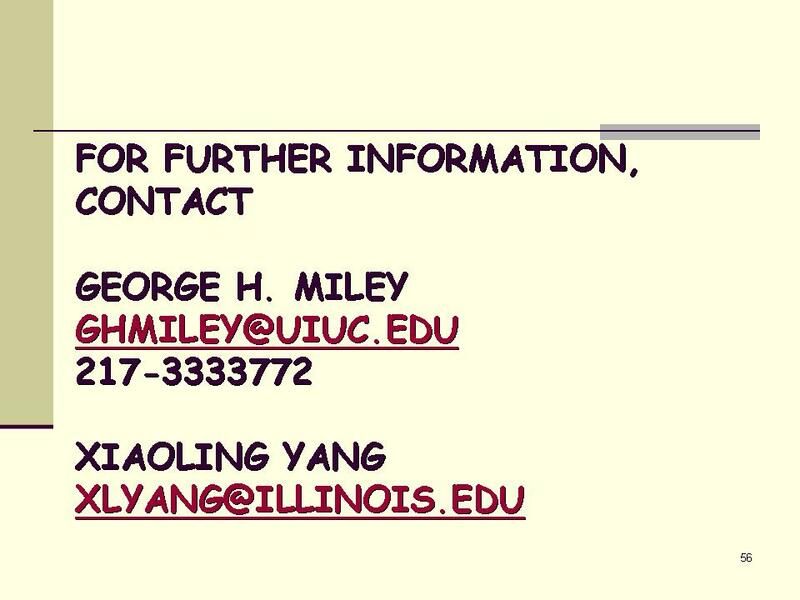 One of these entities is Dr. George Miley, whose work was discussed in a previous article. That article has created a lot of interest and this site continues to get hundreds of hits a day in regards to it. 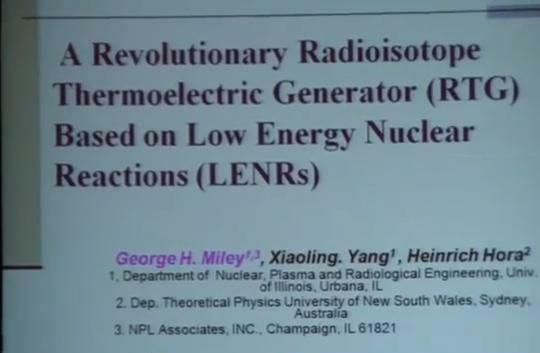 Much of that interest has been based on the fact that a mainstream and well-respected scientist was successfully replicating cold fusion experiments and had made mention of Andrea Rossi and his work. However, since the posting of that article video has become available from the World Green Symposium in Philadelphia, in which Dr. Miley indicates that his work is much farther along than previously reported. According to him, his cell is highly reliable and now produces a couple hundred watts of heat in excess of input power. He reports that he has been in talks with NASA to place his cell in space probes, as NASA’s current power supply for the probes, plutonium-239, is no longer being produced. The video is available for viewing here but below I have taken the liberty of transcribing some of the pertinent comments covering this in more detail. If you chose to watch the video, Dr. Miley’s presentation begins at the 5:15 mark. Other entities seeking to bring cold fusion to market include the Greek company Defkalion Green Technologies, Andrea Rossi’s former business associates, and Italian biophysicist Francesco Piantelli, a very important figure in the history of cold fusion research. Francesco Piantelli began his work 6 months after the announcement of Dr. Stanley Pons and Dr. Martin Fleischmann in 1989 and is believed to be the first to use nickel-hydrogen (much of the early work was done with palladium and deuterium). I will provide more information about his work in the near future. For a primer, click here. Professor Piantelli is also a member of the Cold Fusion Energy, Inc. consortium and has also had contacts with NASA about using his cold fusion cell. While NASA obviously is not looking to commercialize cold fusion technology, they have been very interested in it for some time. So far it is reported that have been in contact with Dr. Miley’s group, Andrea Rossi and Francesco Piantelli. While it is widely, and erroneously, believed that the cold fusion experiments of Pons and Fleischmen were never able to be replicated, NASA researchers conducted successful cold fusion experiments back in 1989. On a NASA web site they clearly state as much. 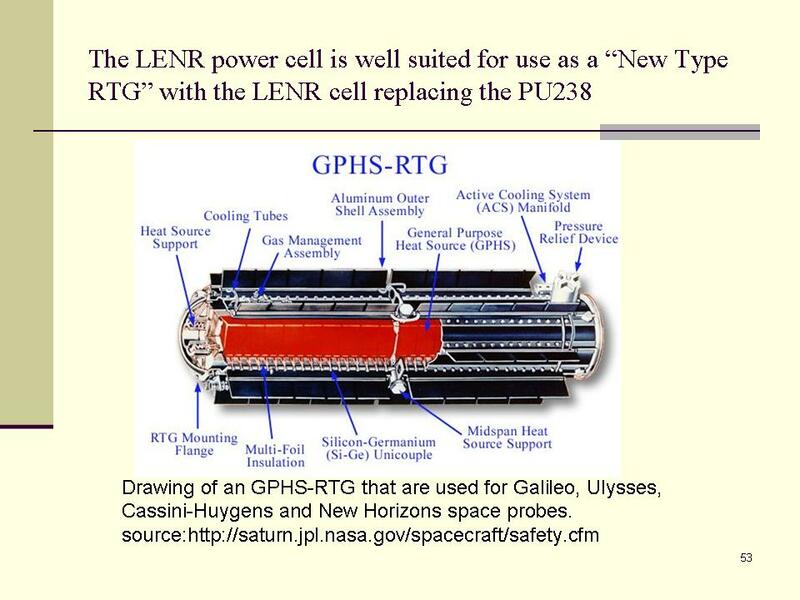 Why NASA did not widely publicize this discovery, and allowed cold fusion research to be ridiculed and be proverbially thrown in the “junk science,” bin is a question for another day. But their current interest in cold fusion (they prefer the term low-energy nuclear reactions now) is much less of a secret. The U.S. Navy is also very interested in this technology. They have done some very successful research in this field and a member of the U.S. Navy was present at the September 6 e-Cat demonstration in Italy. While a number of names have been rumored to be the first customer for Mr. Rossi’s 1MW plant, including Google Green (e-cat.com redirects to their site), recent talk has it being the U.S. Navy. Whether the mainstream scientific community or members of the mainstream press want to acknowledge it or not, cold fusion/LENR is a very real phenomenon and the race to bring this technology to the world has begun. Since this article posted, e-Cat coverage has appeared on-line from mainsteam sources such as CBS, Daily Mail (UK), Yahoo News and MSNBC. Still no story from the Associated Press. This entry was posted in News and tagged Andrea Rossi, cold fusion 1MW plant, Cold Fusion Energy, cold fusion Forbes, cold fusion Fox, cold fusion MSNBC, cold fusion NASA, cold fusion/LENR research, Dr. George Miley, e-Cat, Inc, NASA Glenn Research Center, replace plutonium-238, replace plutonium-239, University of Illinois cold fusion/LENR. Bookmark the permalink. It is a shame that people are so confrontational about this. Same story with any great inventions. This machine, if real, does not invalid all of Physics: it simply invalids a specific subset and calls for a new theory which will supersede and include this device’s machinations. People are confrontational for a variety of reasons, ranging from ignorance to envy. Several researchers in the cold fusion field have echoed what you have already said regarding theory, namely that no new physics is required, just a different understanding existing theories both old and new. I hope to explore that issue in the near future on this site. Thank you sir. It’s a credit to you that you were willing to consider the available information and make your decision based on that. A solid, outstanding report here. Today, thanks to this article and a couple others, on the ECat I’ve pretty much switched from skeptic to tentative believer.